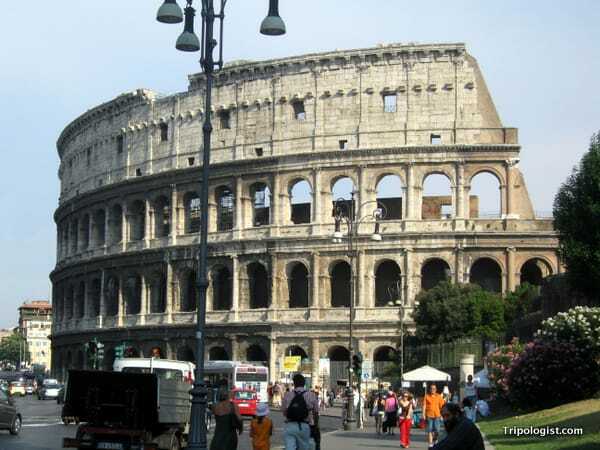 Of all the cities I’ve visited in the world, Rome, Italy, stands out as one of my favorites. It’s the type of city that I’m sure I could visit again and again without ever feeling like I was tired of the city or had seen everything it had to offer. Because there is so much to see, however, first-time visitors to the city can feel a bit overwhelmed with all the different places that they could visit. So, to help out first-time visitors to the Eternal City, I’ve put together a list of five ancient sites in the city that should be at the top of your must-see list. Sure, many of them can be quite touristy, but often times, the best sites are. Let’s get the most obvious place on this list out of the way first: the Colosseum. Built in the first-century A.D., the Colosseum is simply breathtaking. If you can, take the subway to Colosseo Metro Station and take the stairs up the road above. When I visited, I literally gasped at the beauty of the structure rising up above the subway station. Don’t just view the Colosseum from the outside, however, as it is even more impressive from the inside. The events held in this 50,000 seat stadium ranged from battle reenactments, to gladiatorial contests, and executions. The site may have once been one of the bloodiest in recorded history, but today it makes for a beautiful shrine to the mighty Roman Empire. 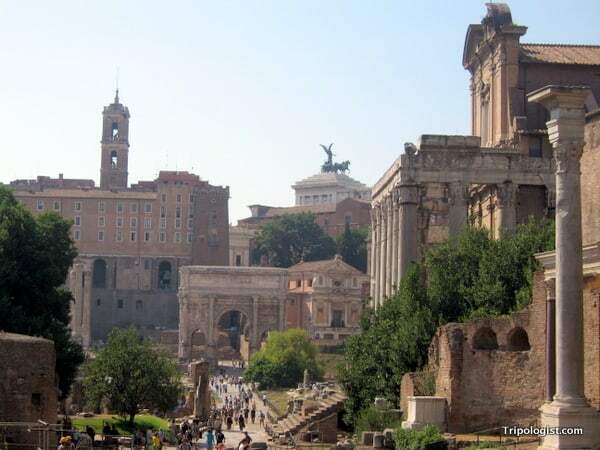 The ancient Roman Forum is definitely worth visiting when in Rome, Italy. The Colosseum is impressive for its size, but the Roman Forum is equally impressive for the sheer number of ancient ruins located within its small confines. Once the center of Roman life, the Forum contains dozens and dozens of ruins, from small buildings without much note, to impressive shrines to the gods and emperors of Rome. The Forum is so mind boggling in its sheer number of ruins, that seeing everything would take days or even weeks. Here, ruins date as far back as the 8th century B.C. and, while the crowds can be overwhelming at times, you’ll be too distracted by the ruins to notice. Don’t miss one of the world’s most impressive collections of ancient ruins. 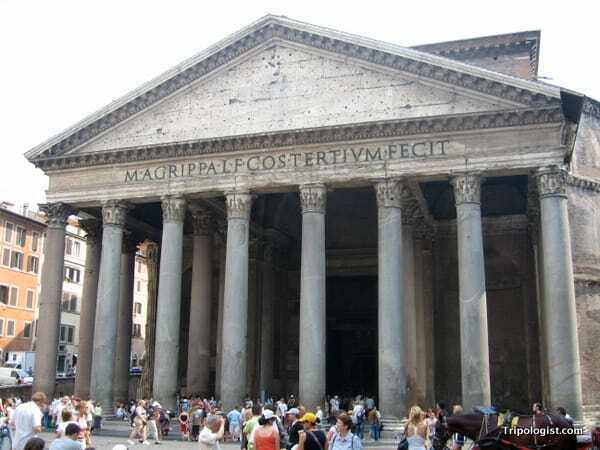 The Pantheon: Rome’s best preserved ancient ruin. Often considered the best preserved ruin in Rome, the Pantheon has stood the test of time for nearly two millennia. Originally, a Roman temple, the building was converted into a church during the 7th century. The building’s distinguishing feature is the giant dome with a circular hole in the roof. For the time, this was one of the world’s most impressive feats of engineering. Visitors today can still visit the inside of this impressive ruin, stare up at the amazing circular hole in the roof, and can pay their respects to the famous painter, Raphael, who is buried inside the building. While the sites mentioned above are frequently visited by throngs of tourists, the Roman Catacombs outside of Rome’s ancient city walls are seen by significantly fewer people. However, that doesn’t make them any less impressive. Built in the first few centuries A.D., over 300 miles of catacombs were dug by early Christians as a place to be buried, instead of being cremated, as was the custom of the day. The catacombs wind deep underground outside of Rome’s city walls and offered a place for burial and worship during the years when Christians were being persecuted by the Roman Empire and often executed in the Colosseum. Today, most of the remains have been removed, but visitors can go down below ground with a guide to see what the catacombs were like and how they were constructed. Don’t miss this often overlooked gem. Overlooking Rome from the top of Palatine Hill. Once home to Rome’s wealthiest citizens, Palatine Hill is now home to some of the city’s most impressive ruins. 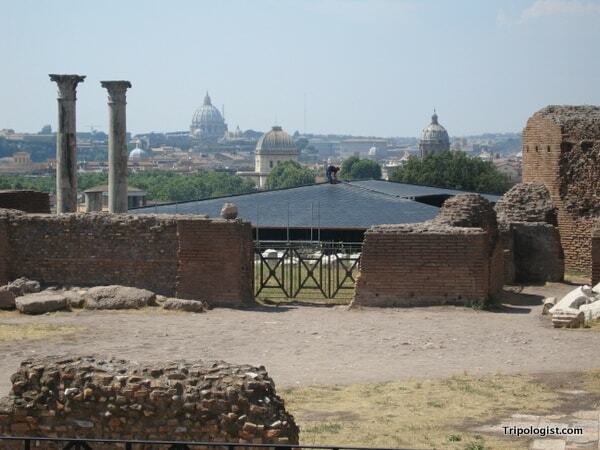 The history of Palatine Hill dates back as far as the foundations of Rome. In fact, as legend has it, it was on this hill that the brothers Romulus and Remus, the founders of Rome, were raised by a she-wolf. For visitors to Rome, however, the main attraction is the many large ruins that dot the landscape of the hill and the great views over the Roman Forum at the bottom of the hill. Walking among the ruins of some of Rome’s wealthiest ancient residents gives visitors a great feel for this amazing city. Without a doubt, Rome is one of the world’s most amazing cities, and its ruins make for some of the most breathtaking attractions in the world. If you visit the Eternal City, you are sure to come away as enchanted as I have become with the ancient capital of the Roman Empire. Rome is a classic! We walked and walked and walked everywhere just soaking up the new built up beside the old. The Vatican is an absolute must to visit when in Rome too :-). The Vatican is definitely a must do. If it were an ancient, by Rome’s standards, it would have certainly made the list. 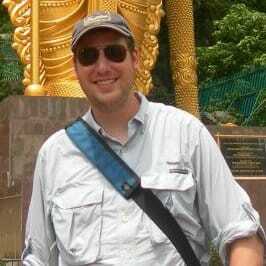 We’re with you Jim – Rome is magical! It’s probably one of our favorite cities in the world. We try to get back there every other year. You can never have time in Rome!